At the end of 2014, a campaign was launched by PetRescue to "Help PetRescue Fix the Pound"
The campaign would raise an overwhelming $63,000 from animal lovers who wanted to see the lives of pets protected in the pound. The community wanted this. It was by far PetRescue's most successful fundraising campaign. The plan for pound engagement was simple. PetRescue would contact every pound in Australia, offering their services in coaching staff to use the PetRescue website. All pound staff had to do - instead of injecting a pet with poison, or shooting him in the head - was to take a photo of the pet, upload it to the website and then take phone calls from the adopters who wanted to give him a home. At the time the PetRescue website was rehoming more pets annually than were being listed on the site - that is, they had a more than 100% rehoming rate for pets. Should have been an easy sell, no? Because '... no one wants to kill pets - pound staff are simply forced into it by the fact they're so overwhelmed and overpopulated and could never find enough homes...."
Not kill - photograph and adopt. Easy. And with nearly 200 pounds in Australia, the number of pound staff who would leap to use this service so they could stop killing pets "... because no one wants to kill pets..." would be pretty huge. So many!! lives would be saved - they just had to let the pound staff know this option to not kill pets was available to their councils for free and they'd rush to stop the killing. Wouldn't they? 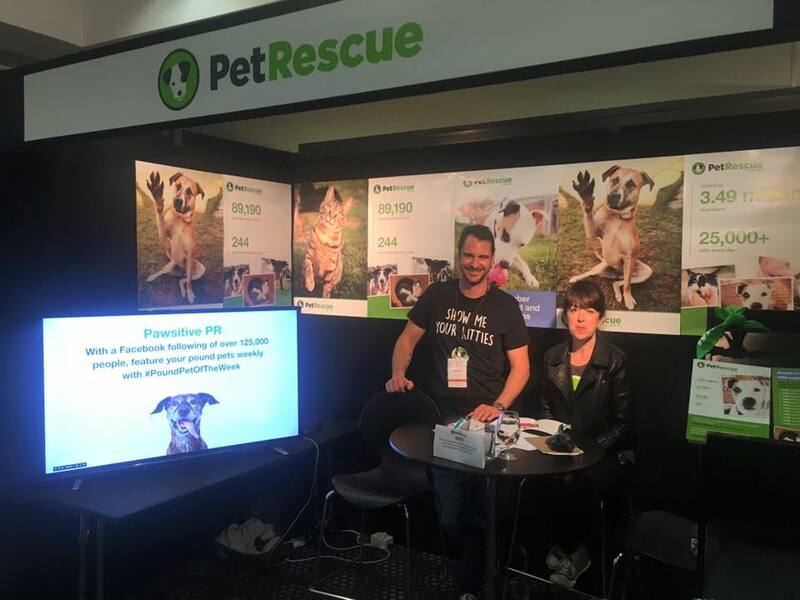 PetRescue sent attendees to the annual conference for pound staff to present on how the idea of photographing and adopting - not killing - pets could be rolled out in their own community. It was really very simple. Just photograph and adopt - not kill. So how has the pound system of Australia embraced the idea that it could be photographing and adopting pets, instead of killing them? Or 6 pounds. Bringing the total up to 12 pounds using the website. From the nearly 100 council run pounds in the country. 12 pounds for the entire nation of 20 million people, the overwhelming majority of which want to see pets protected. The majority of pounds aren't doing this one simple thing that would eliminate their need to kill pets - photograph and adopt. And unfortunately, PetRescue's strategy of simply letting pounds know that adopting pets they are choosing to kill is an option available to them, is a failure. Why? Because despite what is often claimed, pounds do want to kill pets. You don't have to talk to people. Just kill the pet... and done. When pounds are staffed by people who don't want to kill pets, you can tell. The killing stops. Does your pound have a PetRescue account that it uses to promote every pet? If not, why are you defending them? When you should be fighting them. Go. You. Fix your local pound for real. Additional note: While no longer involved with PetRescue, I was an architect for the original Safe and Sound Pounds program. But I recognised from the beginning that pounds were not going to implement these programs willingly. The original project was designed to help community members force the changes needed. I even gave a presentation on why people should stop starting rescue groups, and start advocacy groups instead. Unfortunately, the vision of this project and the project resources paid for by the community were lost soon after the project launched, betraying both the pets, and the donors who gave so generously to see real change take place.